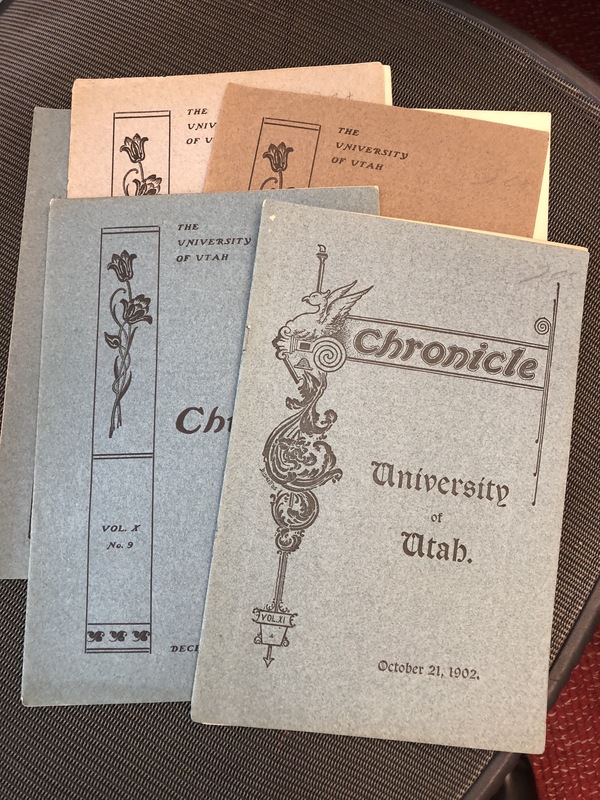 The first 100 years of the University of Utah’s student newspaper, The Daily Utah Chronicle, has been digitized and placed online thanks to the J. Willard Marriott Library. 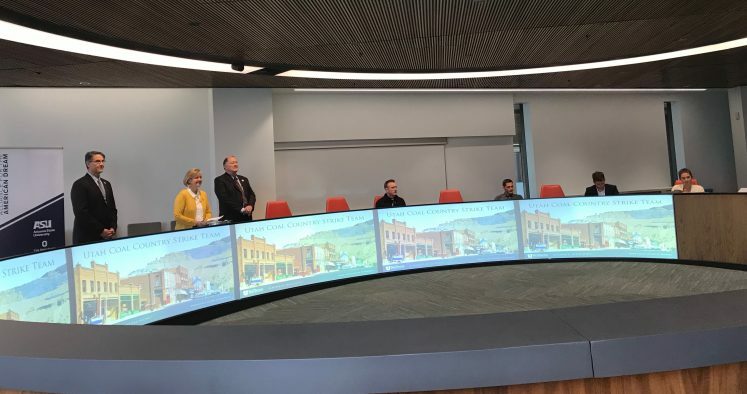 Every page of every issue, from 1892 through 1992, can be found at the website Utah Digital Newspapers—along with more than 2 million pages from newspapers from every corner of the state. 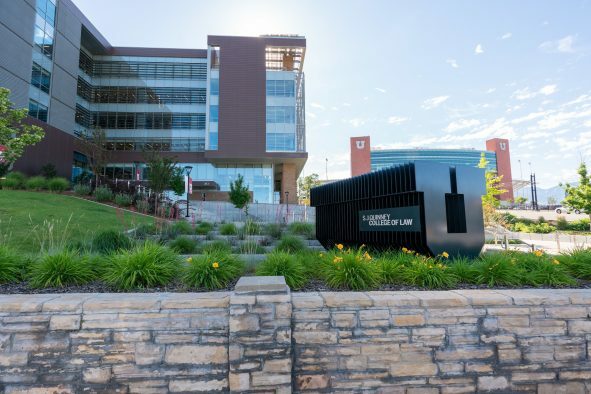 The Daily Utah Chronicle, or “the Chrony,” is one of more than 800 university-based student newspapers in the U.S. and one of the few to remain continually in print for over a century. One of the key advantages of digitization is searchability: Researchers can enter a term and uncover every page on which a particular topic or name appears. A century of Chrony editions in digital form is a goldmine of information waiting to be discovered. 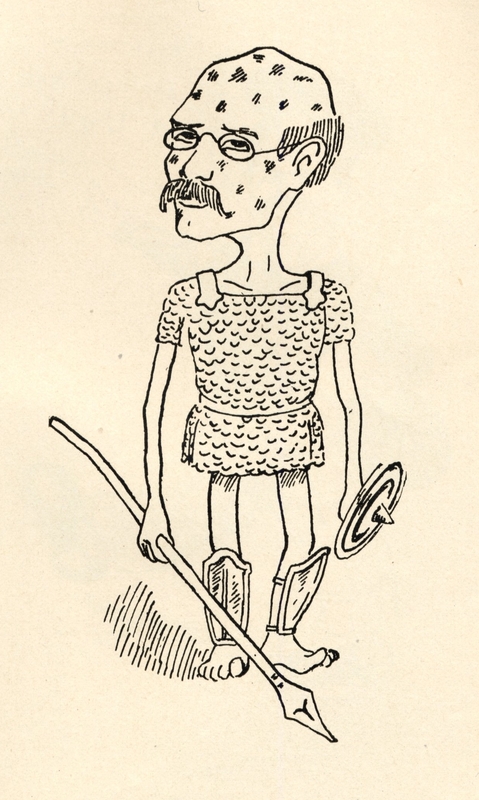 It’s fitting that Marriott Library’s Digital Services Department is responsible for the digitization, because the Chrony’s very first staff, in 1892, was recruited and supervised by University Librarian George Q. Coray. The inaugural issue, published on Friday, Dec. 16, 1892, includes this astonishing news: A year of tuition cost only $5. 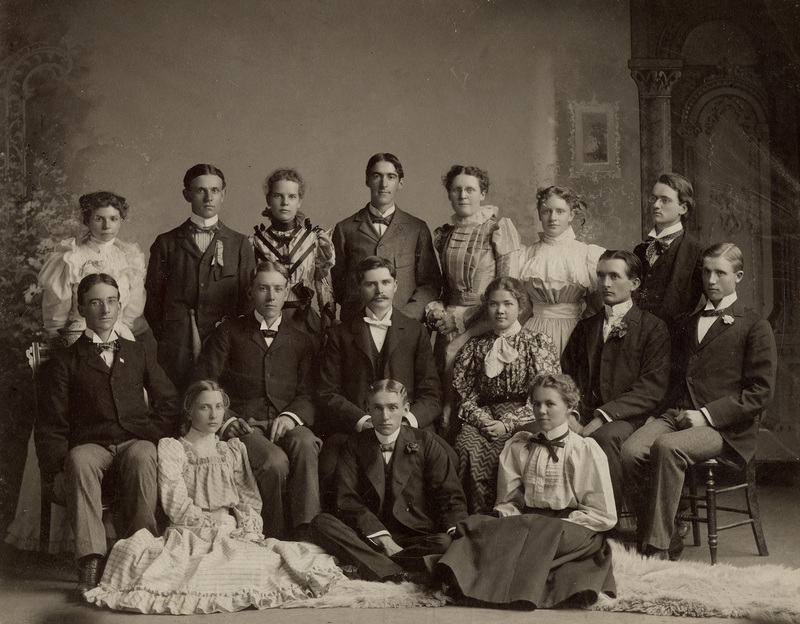 While the economics of higher education have obviously changed dramatically, one of the pleasures of exploring historical newspapers is finding out how similar those “old-fashioned” students were to their present-day counterparts. 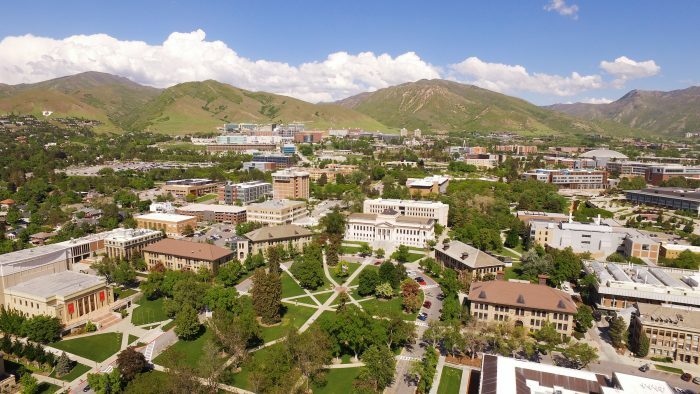 Interestingly, numerous local and national journalists made their debut through The Daily Utah Chronicle. They include: Fred Kempe, former publisher Wall Street Journal-Europe; Suzanne Dean, owner/publisher of the Sanpete Messenger; Angie Nelson-Hutchinson, Deseret News; Mary Dickson, KUED; Lois Collins, Deseret News; Holly Mullen, Salt Lake Tribune columnist; Brad Rock, Deseret News; Heidi Sorensen-Swinton, author and journalist; John Schulian, television writer and sports journalist; Spence Kinard, KSL; Nadine Wimmer, KSL anchor; and Rachel Piper, Pulitzer Prize-winning journalist and news editor for the Salt Lake Tribune. For its first 15 years, the Chronicle was published in a booklet format. 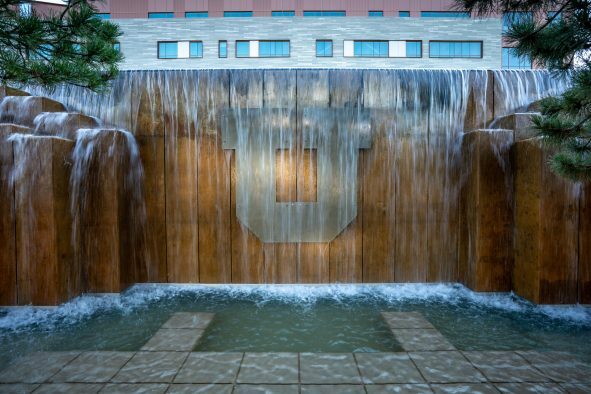 Image courtesy The Daily Utah Chronicle.